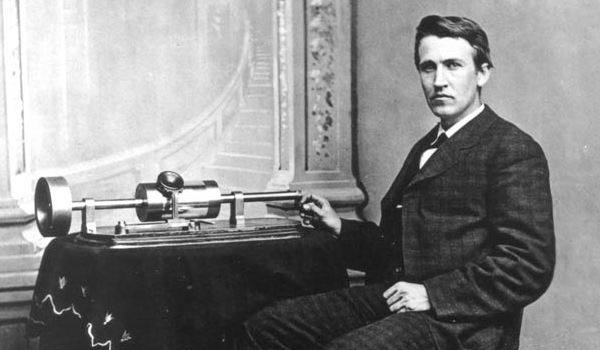 In 1877 Thomas Edison was the first to record audio with his invention of the phonograph. Edison used a cylinder coated in wax and foil that imprinted divots in to it by the vibrations using a coracoid process. He called his invention the phonograph. Emile Berliner invented the Gramophone 10 years later. 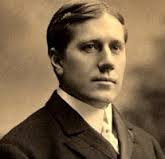 He was the first inventor to stop recording on cylinders and started recording onto disc instead. 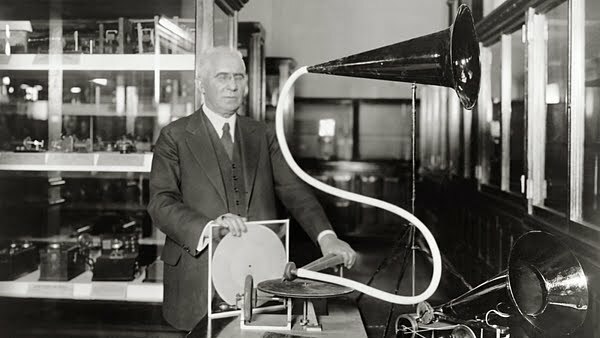 He was later joined by Eldridge Johnson who made a motor for the gramophone to keep it at a steady speed instead of hand-cranking the records. The records had a spiral groove etched into it. The needle attached to the "arm" that is attached to the speaker horn would run along this bumpy grove while being hand-cranked and output the sound vibration through the gramophone speaker. The first disc was made of soft glass, then zinc, and then eventually plastic . It took 12 years after the invention of the gramophone for the flat disc to become mainstay in the hearts of most audiophiles. In the early half of the 20th century (1900-1960), The 10” 78 RPM speed records became the disc of choice. They were made of shellac resin but they were very brittle. The recording groves that are read by the needle, were 4 times wider, and much deeper, than current record discs. Starting in 1948, The 33-1/3 RPM LP(long Playing) records were invented. originally called Microgroove(MG) . They had groves that were much closer together which allowed longer record and play times and significantly reduces the “crackling” sounds. 45 RPM records are records played slightly faster because they only had to accommodate one song and were very popular in jukeboxes because companies can pack more discs. With a large center hole cut out in the middle to make it easier to work with mechanical jukebox arms. The speeds in which the three types of records needed to be played, have been standardized by a collaborative effort between radio, movie studios, and manufacturers and are still in effect today. 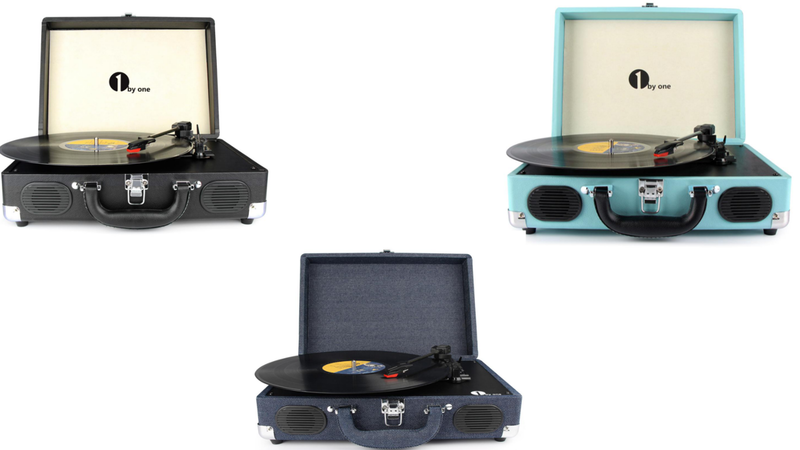 In the video below i Demo all three type of disc on a Retro-style record player from a company called 1ByOne. This record player plays all the speeds and has Plenty of modern technology as well. 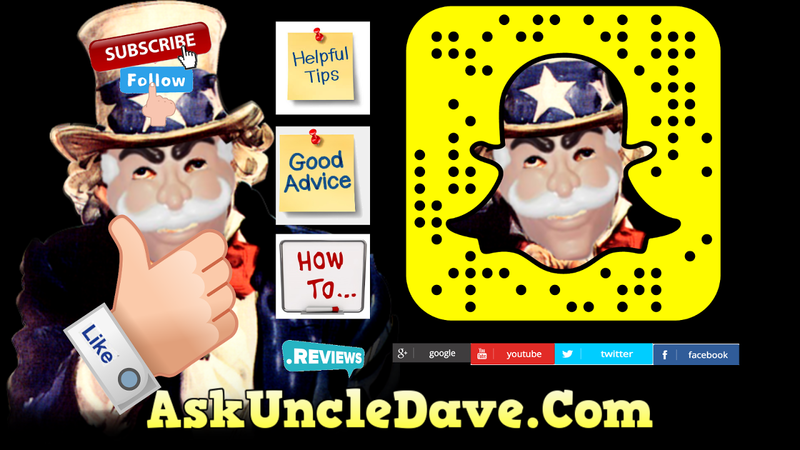 Be sure to subscribe to my YouTube channel AskUncleDave for more articles like this.